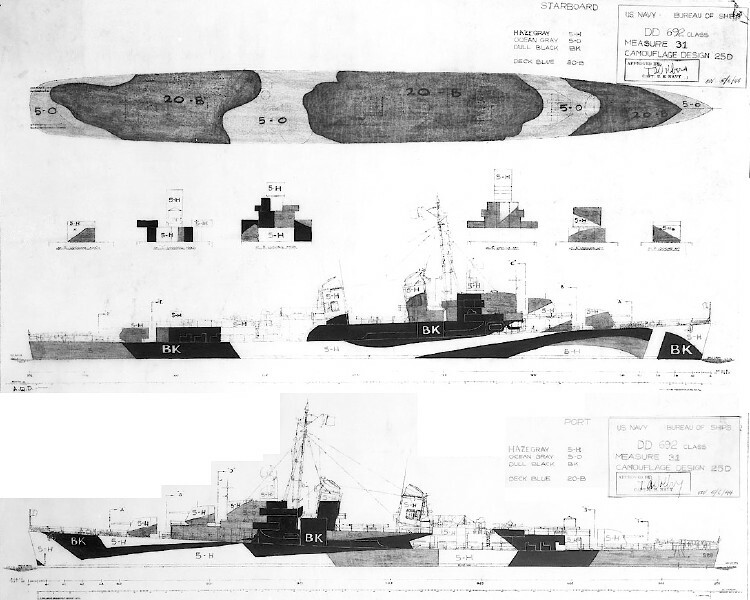 This is the drawing for Measure 31 Design 25D for the Alen M. Sumner class destroyers dated May 6, 1944. The Measure 31 colors were dull black (BK), ocean gray (5-O) and haze gray (5-H). 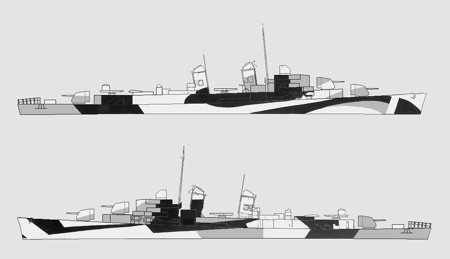 Note the 31, haze gray and 5-H have been inserted, which implies that there must have been a Measure 32 version of this drawing with light gray (5-L) replacing haze gray (5-H). Original drawing source: NARA 80-G-109629 and 80-G-109630.